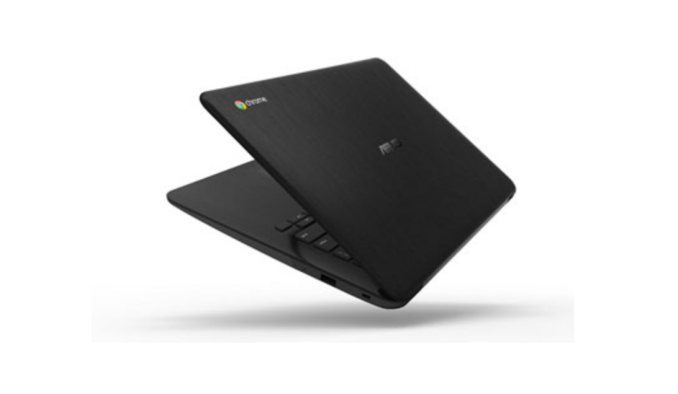 Today seems to be Chromebook announcement day. After Lenovo earlier, ASUS has jumped into the scene with two new models using Intel Bay Trail-M processors. The 11.6-inch C200 and 13.3-inch C300 use the Intel Celeron N2830 CPU, a 7.5W dual core Silvermont part with turbo frequencies up to 2.4 GHz and 1MB of L2 cache. This is the same processor recently announced Bay Trail NUC upgrade. Similarly to the Lenovo models, the ASUS C200/C300 will feature full keyboards and enlarged touchpads with multi-finger gesture support. Both of these models will feature 802.11 b/g/n out of the box and 802.11ac via a future software update. ASUS is giving these a 10 hour battery life rating, along with a 720p HD camera, a HDMI 1.4 socket, a single USB 2.0 port, a USB 3.0 port, an audio jack and an SD card slot. Both models will come with 2GB of DRAM and 16GB of internal storage (no clarification if eMMC or other), including 100GB of Google Drive storage for two years. The C200 measures 0.78-inches thick and weighs 2.5lbs, compared to the larger C300 which comes in at 3.1lbs. 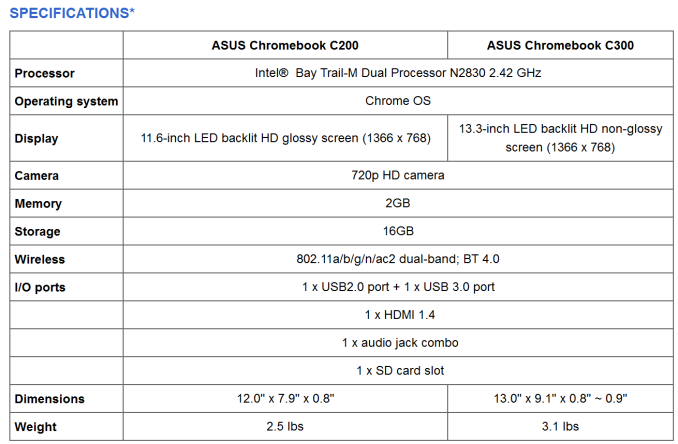 Both Chromebooks are expected to begin shipping in North America at the end of June 2014 starting at $250. One would assume that is for the C200 model, given the upgrade in size for the C300. 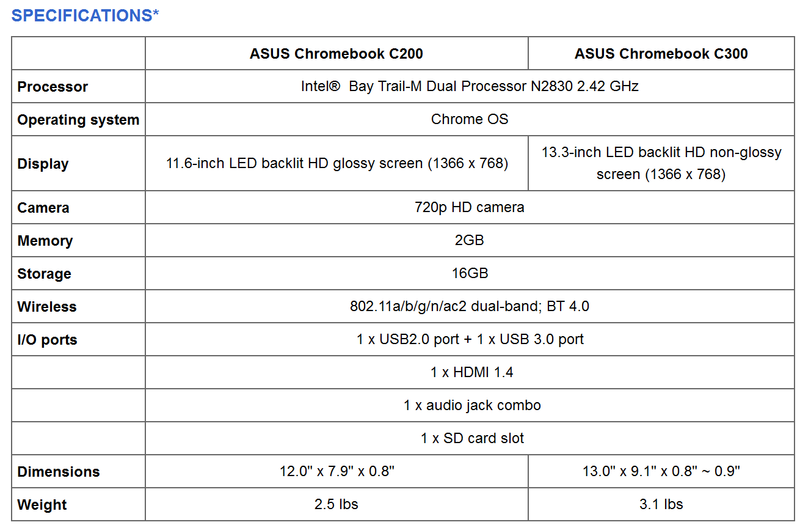 The only Chromebook w/ 1080p (apart from the Pixel) is the Samsung. All any of these chromebooks are missing is a high res screen. That fact that they call these "HD" screens at 1366 is laughable.